Thirty-five inch Super Swamper tires will get your rig through damn near any mud puddle, but they won’t let you carve deep through the earth’s outer crust. Watch this buggy scar the planet by powering through the ground instead of over it. 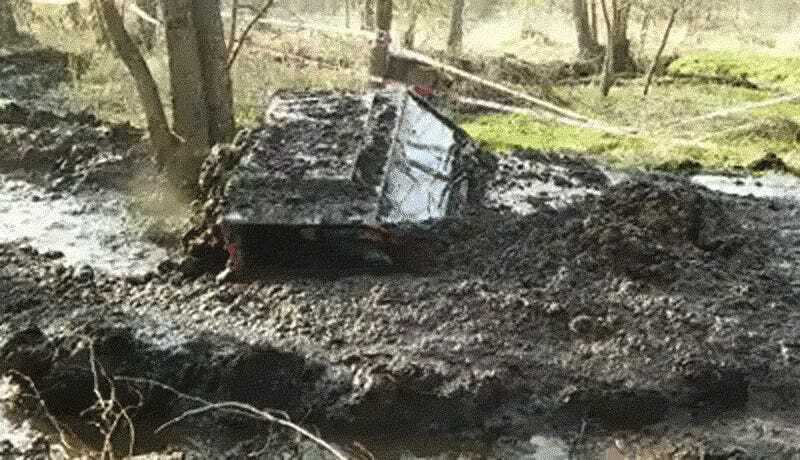 At first glance, it might look like the rig is crawling through the mud hole unassisted, but a careful look at the end of the clip shows a winch strapped around a tree trunk. Still, that that must be a beefy winch to push around all that mud. This guy will probably leave a trail in his path for the next few years. Mud has a way of hiding like that.